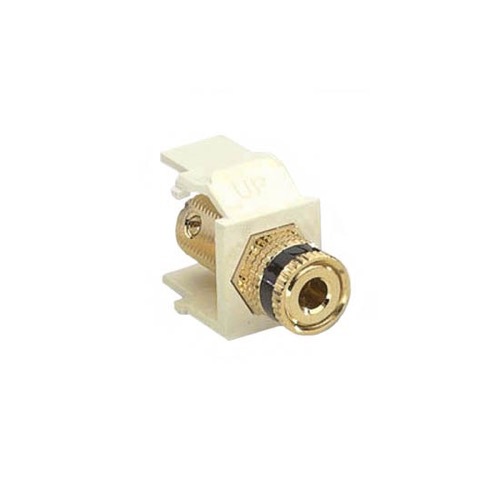 The Binding Post connector modules snap into QuickPort wallplates. Connections are simple and easy without messy soldering. UL listed. Gold plated for improved performance. 5-Way binding post accepts stripped wire, banana plugs (2 ways), spade lugs, or ring lugs. "Set-Screw" screw terminal for rear connection. Snaps into any TechWire frame.